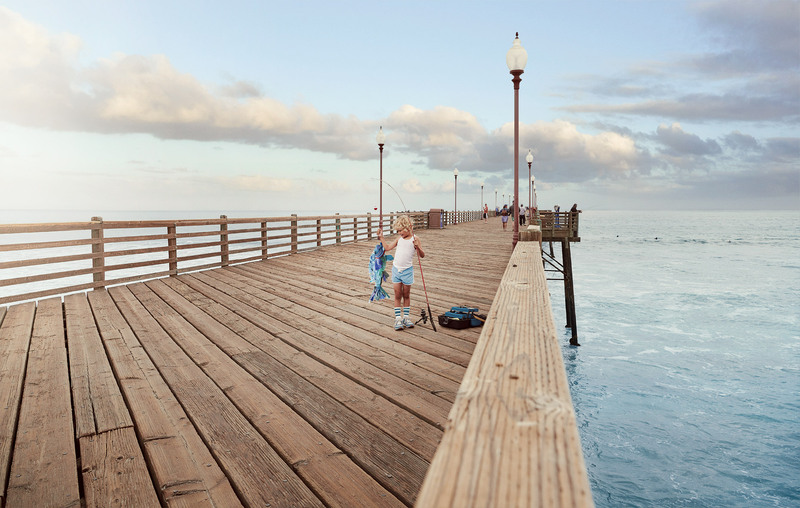 Pier Fishing is an image from the Catch & Recycle series, which showcases the work of Ricardo Ramos. Each fish is created from found beach trash and constructed into conceptual plastic fish. These sea creatures are brought to life through a coneptual photo illustrations by Weston Fuller to bring awareness to plastic pollution in the ocean.